Video games are one of the most popular and profitable entertainment products in today’s world. However, their success is often difficult to predict. Why do some games go on to sell millions? Why do other games fail? And what do you need to build and launch a video game hit? After 18 years in the video games industry, I have seen many products go wrong and just as many do well. Using my experience and knowledge, I have come up with a business process to build commercially successful gaming products. 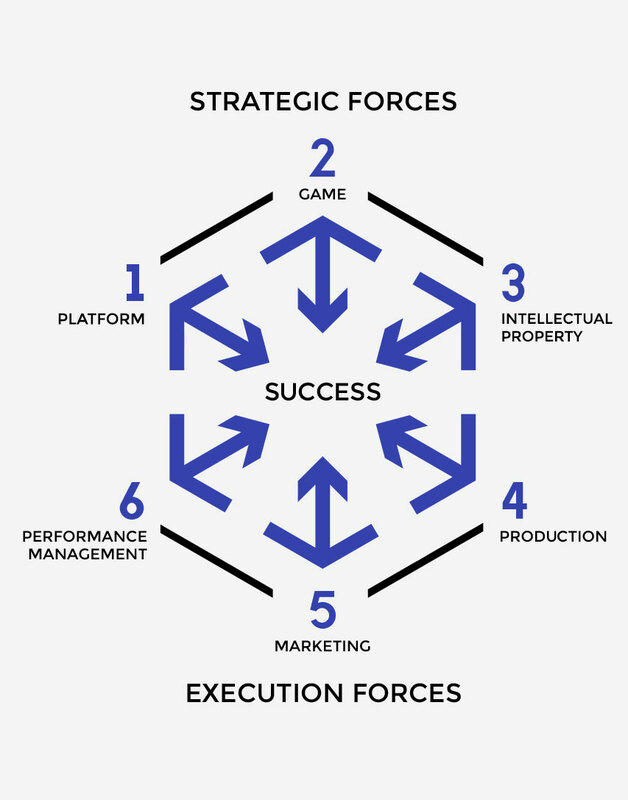 The model focuses on six variables that impact the video game business: the Six Forces. The Six Forces is a sequential, specific and practical approach to creating great video games that sell. It looks at each of the Six Forces and explains how to apply them to new game offerings. Using the Six Forces model leads to delivering viable products and maximises the chances of delivering video game hits. My book on the Six Forces model is scheduled to come out soon. If you would like to know more, sign up to my mailing list using the form below. As well as book updates, you will get exclusive book extracts ahead of the launch.